It really is a digital jungle out there and finding the right way to present yourself amongst all the noise is difficult when you consider all the options. In this post, we give you some top tips on the do’s and dont’s for social media. 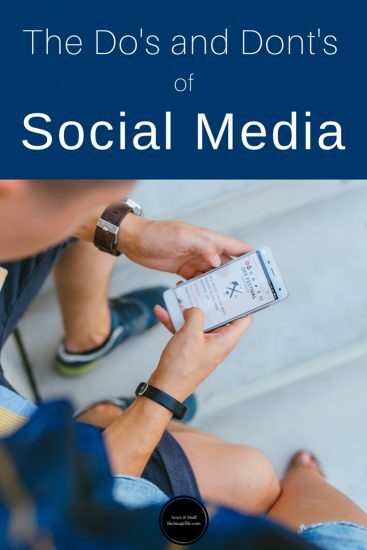 In the previous social media blogs, we have given you an overview of the various social networks you might want to use and the best ways to use them. We’ll focus on one or two in the coming weeks but here are some social media do’s and don’t’s. 1. Focus on one thing and do it well. Whether this is a social media channel like Facebook or Instagram or the type of customer you are targeting, it’s important to get the focus spot on. Social media allows you to target certain specific groups, or be much broader, but be very clear about your objectives. 2. Join the conversation. The ability to communicate with just about anybody is what drives the Internet. You can have a genuine, immediate dialogue with your customers and very quickly figure out what works and what doesn’t. 3. You are a photographer. Your best skill, the product you are selling, is your ability with a lens so why not communicate your business through that very platform. Visual storytelling and imagery is the most shared type of content on the internet. A picture paints a thousand words. 4. Be yourself. Getting the tone of your communication right and be that person in all your conversations online. It is the best way to sell your business. Your identity is what attracts people on social media, much the same as if you were touting your wares on a street corner. 5. Follow for leads. Social media is the best instant news source for all things business, consumer and everything in between. Find the companies you want to work for or with, the people making the best work to inspire your’s, anything that progresses your knowledge and ability to make connections in the right places. Like, follow, connect with them. 1. Rely on social media to be your saviour. It’s easy to spend many lost hours on the Internet. Social media should form part of your marketing strategy, not all of it. Focus on the things you need to do on and offline. 2. Be negative. If you find derogatory comments or feel the need to sound off about something, don’t do it online. Things can get amplified and out of control, so be positive and measured if you have to respond. Try to turn a negative into a positive. 3. Copy and follow the crowd. It is hard but it is vital to try and be different from the rest. Look to post items that will inspire and engage, not regurgitating the same output from other feeds unless you place great value on them. If you have to, do it infrequently. 4. Take your foot off the pedal. It takes time, discipline and energy to build a presence and audience online so keep on at it and things will grow steadily. Be dedicated and keep the faith. 5. Buy followers. This is a short-cut to nothing as there is no value in a bought but unengaged group of followers. They may see your stream but if they don’t value it, what is the point? Social Media: Taming The Beast Social media: Advertising and audience Social media: Voice and identity Shocking Facts About Social Media!